In our previous post, we wanted to depart from our more traditional article topics, such as how can a homeowner extend the life of their hardwood floor, how to choose between hardwood repair and a new hardwood floor, and others of that nature. So we dedicated a post to highlight a few of the hidden gems you can find in Central Pennsylvania, specifically in reference to how fun of a town Bloomsburg can be. With wildlife exhibits, great parks, an amazing annual fair, and whitewater rafting just a few miles away, people considering a move to central Pennsylvania surely will not be disappointed by the range of outdoor activities this region has to offer. In today’s article, we are going to continue with the trend of taking note of our beautiful surroundings here in Pennsylvania, with this one focused on Danville activities. 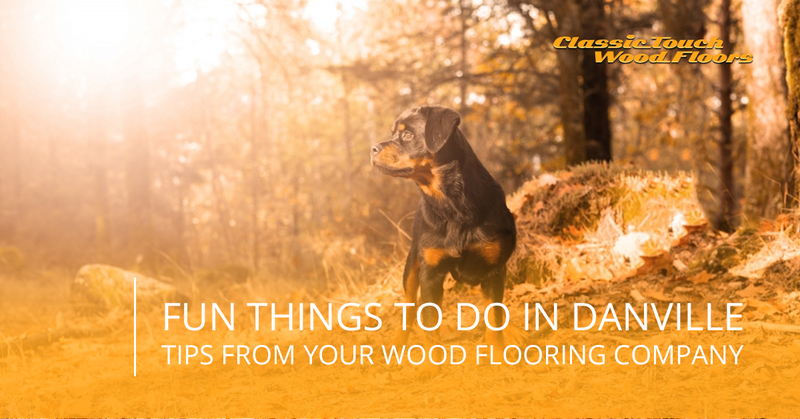 As Central Pennsylvania’s Top Rated Local hardwood flooring contractors, we at Classic Touch Wood Floors care about our community, so we want to help out both locals and folks thinking of becoming locals by unearthing some hidden gems that the Danville has, just beneath the surface. If you fall under either of those categories, this post is for you, so read on! With just a humble population of around 5,000 residents, people may not think that this Montour County community has as much to offer residents and visitors as it actually does. And because Danville encapsulates the classic small-town, American feel so well, we thought that highlighting a quaint drive-in movie theatre would be a great way to start. If you are more interested in some daytime, outdoor activities, then we have just the idea for you and your crew. Montour Preserve has been voted on Trip Advisor as the number one thing to do in Danville, and once you visit, it’s easy to understand why. Experience a variety of activities and sights, ranging from fishing, boating, picnicking, trail running, fossil collecting (believe it! ), ice fishing in the winter, children’s play areas, skiing, and even maple sugaring. The best part has to be that Montour Preserve is simply what you make of it. Whatever your outdoor joy is, you can probably find a way to enjoy it at Montour Preserve. But perhaps the second best part of the entire experience is that it is free! A great place to find peace with nature by yourself, enjoy a sunset with a loved one, or show your children all that mother nature has to offer, Montour Preserve is flat-out worth seeing. In keeping with the kid-friendly theme, let’s talk about an educational activity that is only a stone’s throw away from Danville’s city limits. Bloomsburg’s Children’s Museum’s mission is to combine playing with learning and discovery. It too, like the nature preserve and drive in theatre, represents a very affordable option, with children under the age of two being free and everyone else costing just $6.50! The museum offers a full 50 different exhibits, each with a different theme and educational purpose. There is an imagination room for pretending, an Egyptian themed exhibit, a history of Pennsylvanian coal mines, a preschool cabin, and a host of other kid-friendly, fun activities that will keep them engaged while teaching them about the world! Maybe you can be like Starling and rediscover a child-like zeal AND START TYPING IN ALL CAPS. Just kidding, Starling. But go and visit the Children’s Museum, you won’t be disappointed! The adults need have some fun too, so why don’t you hire a sitter, and go down to one of the top breweries in the entire state. Open since 2008, this local brewery is a great example of how to involve the community as a local business. They make a point to include local artists, farmers, and craftsmen whenever they can. With incredible food, fun events like trivia, and a great variety of craft beer, this is one of the best laid-back restaurants around! Now that we’ve successfully convinced you to move to Danville or at least some region of Central Pennsylvania, you are going to need hardwood flooring experts to turn your new house into your dream home. Or perhaps you will move into an older home in which you will need to restore hardwood floor. Whether you want to repair your hardwood floor or are looking for a brand new hardwood floor, there is only one choice when it comes to Danville wood flooring companies. If you are in the market for a Danville flooring contractor, consider Classic Touch Wood Floors. We offer free estimates, a respectful, friendly staff, and unmatched expertise in our field. Get in touch with us today for special first time offers, whether you are in Danville, Bloomsburg, or another part of Central Pennsylvania. ©2017 Classic Touch Wood Floors - Do not copy. All rights reserved.